A Spooky Message is a brand new Pokemon GO Special Research Quest, available now to celebrate Halloween. It focuses on the rather off Ghost/dark Type pokemon Spiritomb, which Prof. Willow needs your help controlling. Players looking to complete A Spooky Message will need to complete three steps, each with its own selection of tasks and rewards. In this Pokemon GO A Spooky Message Guide, we'll be running you through, everything you need to know about the rewards, tasks and steps associated. 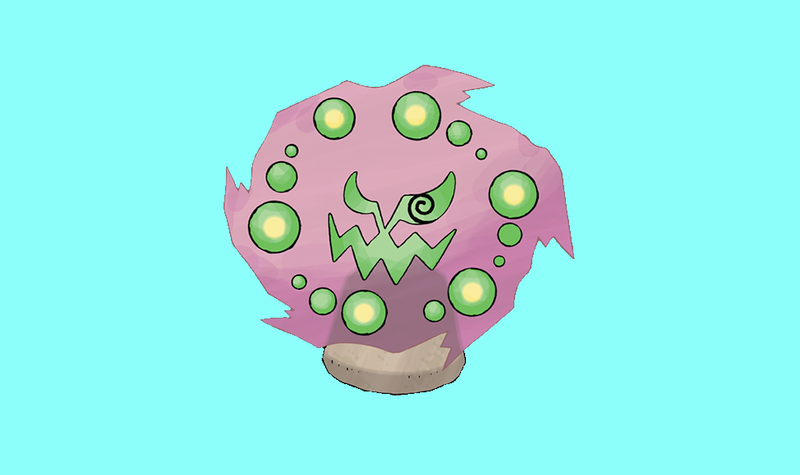 We'll also take a look at Spiritomb, and whether you should be going after it in the forst place. For everything else Pokemon GO related, head over to our Pokemon GO Guides Hub. It’s got info on all aspects of the game, from raids to egg hatches and more. Spiritomb has just been outed as the focus of a new Pokemon GO Special Research quest. It’ll be the first non-mythical to receive the treatment, and looks set to arrive just in time for Halloween. We now have the full picture just yet, and we’ll be sure to keep updating this page if we hear more. Thanks to Chrales over on Twitter, we now have a good idea as to the specific research tasks that players will need to complete in order to catch a Spiritomb. We’ve embedded a tweet below, showing the quest log. It shows dialogue from Prof. Willow and can be used to work out some of the finer details on the Spiritomb Special Research Quest. Let’s take a look at what we’ve pulled together so far. Once we receive an official confirmation from Niantic, we’ll be able to order some of these quests and give more specifics. Stay tuned for more details. If you'd like to bag yourself a Spiritomb in Pokemon GO, you'll need to complete the 'A Spooky Message' quest. It is comprised of three steps, each made up of a few tasks. You'll get rewards for doing so, so let's take a look at what you'll be getting up to. So What Exactly is a Spiritomb Anyway? As Pokemon go, Spiritomb is a real oddity. It is said to be the combination of 108 spirits bound to a kind of sacred rock called the Odd Keystone. It’s a mix between Dark and Ghost types, and some are said to be over 500 years old.